Kp2 studies and installs wastewater treatment systems for all kinds of applications, from small independent houses to large housing complexes and hotels. We offer great expertise in designing, installing and operating systems with the highest standards, satisfying legislation requirements for the treatment and disposal of wastewater. 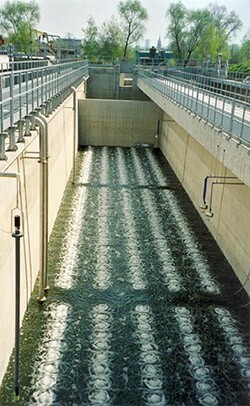 Our studies and design of wastewater units include tertiary treatment by active sludge method with prolonged ventilation. Depending on the quality of wastewater, specially designed systems can be employed such as rotary screens, grease separators, separation with air flotation systems (DAF), sludge dryers (filter sacks). The treated effluent is disinfected by chlorination or UV ultraviolet radiation and is suitable for underground disposal or irrigation use. 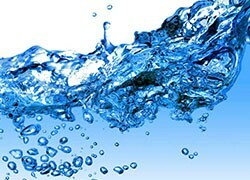 If there are higher requirements for recycling and reuse of wastewater, then a final stage of purification can be added by the introduction of suitable units such as ion-exchange resin systems, ultra-filtration or reverse osmosis. Complete series of chemicals and auxiliary materials, such as disinfectants, microorganisms for the breakdown of fats, microorganisms to set up the good functioning of waste water plants, odor removers.